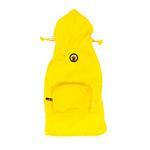 Keep your pet dry in the rain with the easy to carry fabdog® Pocket Fold Up Dog Raincoat in Yellow! Stay dry and look fabulous in our pocket fold up raincoat. 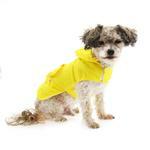 This adorable dog rain jacket in yellow will keep everyone cheery even on the dreariest of days. We love how easy this dog rain parka is to use. 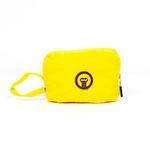 It folds up into a convenient pouch (which is the jacket pocket) making it perfect for travel. No matter what Mother Nature brings while you're out on an adventure with your dog, you'll be ready! 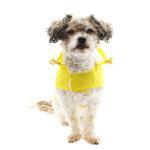 This dog raincoat is easy to put on with touch fastener closures at the neck and belly. It also features a breathable mesh lining and a 100% nylon shell. It features a hood with toggles to help keep it in place and lock out the weather. Also helping to keep your pet dry is a covered leash access hole. We love the stylish argyle rubber tag on the back tab and outside pocket. 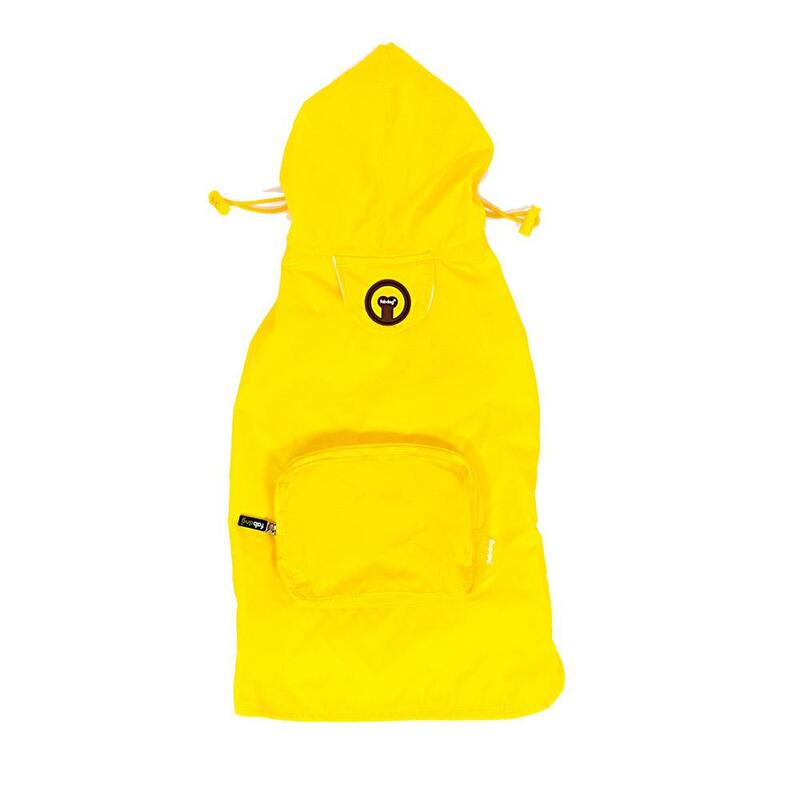 For easy carrying when folded, this packable dog raincoat features a loop with snap to hook to a lead, belt loop or bag handle. When your dog is wearing the jacket, the packable pocket can be utilized for holding extra waste bags or treats. Check out our other colors to outfit the whole gang for wet weather! Note: Emblem style may change as our stock replenishes. Posted On 03/26/18 by Barbara S from , MI Yes, Barbara S recommends this product! Greta sports her bright yellow raincoat about town to the amusement of those who see her strut. Coat is nicely constructed, easily packs within itself so I can hang it on her lease ready for the next cloud burst. Greta is a 14 lb. miniture Schnauzer, with 19 inch chest, 14.5 length so she wears a large. It's a little long in length, but it does cover her so she stays dry. Posted On 04/08/17 by Wendy B from Alexandria, VA Yes, Wendy B recommends this product! Size true to form. Attractive and keeps my dog dry. His harness fits perfectly under the raincoat and the leash opening is a plus. Posted On 06/10/16 by Barbara H from McCalla, AL Yes, Barbara H recommends this product! Casper is a Bichon Frise, so when he gets wet he curls up. We have needed a rain coat for a long time although right now we're in a dry spell but hopefully rain soon for yard and flowers. Great price! We love it.